Not all SAT prep books are created equal: some you’ll want to use in their entirety (though only a few), others you’ll want to use only parts of, and others you’ll want to steer clear of. This is particularly true now that prices are falling and Kindle versions are available—in some ways, that’s awesome, but it can also encourage students to buy a ton of books without seriously evaluating their quality. To help you maximize your study time (and save your hard-earned cash) I’ve reviewed the options for the best SAT books on the market and graded them from most to least helpful. Keep in mind that some publishers do a good job on some things (like practice tests or a specific section of the SAT) and a sub-par job on other things. This doesn’t necessarily mean that you shouldn’t buy the book, but it might mean that you won’t use the book in its entirety. Questions, comments, concerns? 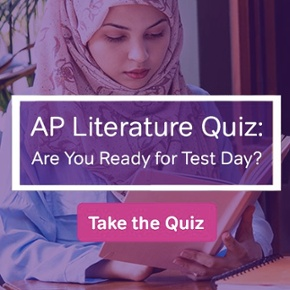 Leave me a comment, and let’s get this discussion on the best SAT books started! Click the book title in the table below to jump to the complete book review. A Magoosh SAT eBook Magoosh 2017 FREE! *List prices given at time of publication and subject to change. Click on the book cover found in each review to see the current price on Amazon. 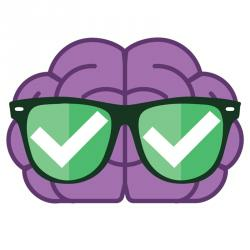 I want to start by pointing out that Magoosh has a great, free SAT study guide! We’ve spent years and years reviewing all of the SAT study guides out there. We knew that our experts could cut through all of the unnecessary stuff and give you the best info out there…so that’s what we did! Even better? It doesn’t cost you a cent. We even have a free SAT practice test you can take after studying. Why wait? Check it out! Well, it took some time, but the Black Book (Second Edition) for the redesigned SAT is finally here! The original Black Book was an SAT student favorite, and the new version more than lives up to expectations. Is it perfect? No. Is it pretty awesome? Yeah. Here’s what’s great about this book, and why it makes our list of the best SAT books: it provides in-depth explanations (and we mean really in-depth explanations) of the four official SAT practice tests from the College Board. The College Board’s practice is great—but if you’re struggling to understand why you got questions wrong even after reading their explanations, this is a great place to turn. It’s also a great place to get your strategy in place for test day. 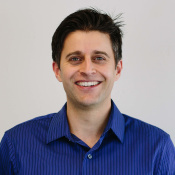 Not only does Mike Barrett give you multiple workable methods to approach questions, but he also goes through possible issues and solutions to every type of everything: passages, questions, answers, even test-taking vocabulary. He even covers what non-native English speakers should focus on (albeit in a slightly perfunctory way). Is this the be-all and end-all of SAT prep? Well, no. In the first place, we definitely have some pedagogical (teaching) differences. Barrett encourages you not to think about the average time you spend per question, and while we don’t think you should obsess over this, you should definitely be aware of it. He also doesn’t encourage taking notes while you read or taking a diagnostic test. Those strategies can be helpful for many test-takers. In addition, Barrett vastly underplays the importance of the SAT essay, noting that a lot of test-takers won’t need to take it. While that may be true of some test-takers, more and more schools are requiring the SAT essay—particularly the most competitive schools that students aiming for a 1600 are probably targeting. Finally, you won’t find any practice questions here. Barrett has his own arguments for why you should only use College Board resources. We definitely disagree with that; for students aiming for top scores, a much deeper pool of questions is important (as long as they’re up to snuff)! At the end of the day, this is a pretty great addition to your SAT library, particularly for those students just starting their test prep journey. Kallis is a bit of an enigma. I’d never heard of it before I saw this book’s high rating on Amazon. From their website, it seems like they have a handful of books for the SAT and TOEFL tests. Who exactly are they? Perhaps more importantly, how is it that this amorphous newcomer was able to create a text for the SAT that far outdoes that of any other publisher to date? Luckily, we don’t really need to be able to answer that question to reap the benefits this book offers. The content review for each section is thorough, clear, engaging, and most importantly, helpful. Of course, many publishers do content review fairly well. Where most flounder is in writing the practice tests. Kallis isn’t perfect—it’s exceedingly difficult to write questions that mimic the real test—but they do a respectable job. The writing questions tend to be more difficult than those on the actual test and don’t quite have the feel of those questions. Hard to put my finger on, which isn’t necessarily a bad thing. Usually I can cite exactly how questions miss the mark—maybe because the other publishers miss it so widely. The reading passages are sometimes spot-on. Other times they are too stylistic and more reminiscent of the old SAT. There also might be more of a focus on trap answers than on the actual test, but not in a way that would affect your performance on the real test. The book does a great job in presenting the content you need to know for the new test. However, it doesn’t do the greatest job at discussing strategies. For instance, it shows you the tedious and not-necessarily intuitive way of setting up complex equations rather than the tried-and-true way of plugging in values. Likewise, the writing section recommends always reading the question first instead of reading the passage first, or at least a paragraph at a time. I advocate for a nuanced approach, one that takes into account both tactics. Word problems in the math section tend to contain far fewer words than those on the actual exam. The contexts used in the examples are often a little too relatable. Gone is the more esoteric fare of the actual test—bacteria in a petri dish, strength of a satellite signal, etc. The breakdown of the math questions doesn’t reflect the actual test that well. The last four questions in one section are geometry questions. That wouldn’t happen on test day. An all-around excellent prep book for the SAT, one that is great for the motivated self-studier, especially one who aims to score in the top 20%. I intend to use it to tutor, which is a lofty compliment, given that I say this about very few prep books outside of the official materials. Hey, want to learn a lot about SAT math? Princeton Review’s Cracking the SAT Premium Edition with 7 Practice Tests is a good place to start. It has almost 300 pages of material to review, strategies to learn, and practice sets to, well, practice. What’s that you say? Seems overwhelming? It is, a little. And if you’re looking for practice on Reading or Writing and Language, the book does offer good advice and practice sets—just not very much advice and not many practice sets (think 50-75 pages). 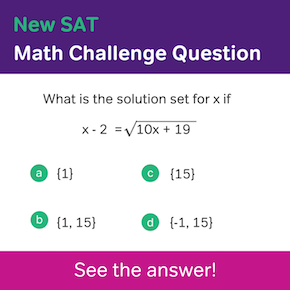 Yes, students do struggle with SAT math, but there’s no need to push it on them to the exclusion of the other sections. After all, you need to look at that composite score, too! Otherwise, a pretty quality book. If you want a total math review with lots of practice, this is a great place to start. Unlike a lot of other books, the verbal here is pretty solid as well. In particular, the Princeton Review seems to actually understand the College Board’s incorporation of graphs into the verbal section on the new SAT—a nuanced concept that few publishers get right. Also, the practice tests here are different than those included in the Princeton Review’s 6 Practice Tests for the SAT, so if you’ve bought both books, you’ll really get your money’s worth. Some of the verbal advice is laughably obvious: “The most important thing about Writing and Language questions is that you notice those questions and then answer those questions.” (Oh, is that what I was supposed to do with those questions?) Meanwhile, other parts are unnecessarily confusing, mainly because they use a ton of acronyms (including the unfortunate “POOD”). A great place to overhaul your math scores if you have a lot of time before the exam. Also worth looking into for the use of graphs in the verbal sections. Many test prep books make the mistake of being dry—really dry. And that’s a problem when your subject matter is already dry to begin with. 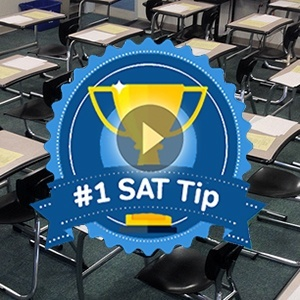 Mike McClenathan steers clear of any such aridity, injecting a “hey-we’re-in-this-together” voice as he takes you through all the important parts of the SAT. And you never feel like he’s writing this book to meet some deadline. It’s clearly a labor of love. His affection for the material and the test comes across in nearly every page. But it isn’t that he just wants to geek out on the material—he genuinely seems to care that students improve their score. That said, this book alone isn’t enough to improve your score—though it is a good start. You’ll want to make sure to complement it with the Official Guide (as the author encourages). Even then, I recommend a book like Barron’s 1600 Math book so you can get lots of extra practice questions. Luckily, the book gives us a clean breakdown of every question type in the Official Guide. That way, you can practice a concept on real SAT questions and have a rough idea of how difficult they are (the difficulty of these questions depends on where the question shows up in the section—easier questions are at the beginning; harder questions at the end). Overall, a strong book for the self-studier who needs an accessible refresher of the math tested on the SAT. The questions in the PWN book, while okay, don’t quite impart the flavor of the current test. It seems that some of them are still steeped in the old-SAT-style of asking questions. Another issue is there is no indication of whether a question in a practice set is ‘easy,’ ‘medium,’ or ‘difficult.’ This is problematic because, often, the section that introduces the topic uses clear, easy-to-follow examples. Then there’s a jump in difficulty in the problem sets, often because what you learned at the beginning of the chapter isn’t enough to answer the harder questions. For students who are just starting out, they might get easily frustrated and think, as they are wont to do, that they aren’t good at math. The problem sets would have been improved had they included easier questions and broken up the questions into discrete difficulty levels. On its own, this book isn’t enough to prepare you for test day. In combination with a few other resources, though (namely, the Official Guide), it’s a great resource for students aiming for top math scores. While I could easily fault this book for the lack of any content instruction, it would be unfair to do so, because the purpose of this book is to be a question bank. And on that level it scores a resounding meh. That is not to say it won’t be of use to lower-level students (you can probably see where my review is going). The Princeton Review has created questions that, while perfectly legitimate, aren’t quite as complex and nuanced as those found on the actual test. And you know what? That’s not necessarily a bad thing—if you are just starting off. I should make it clear that I’m not saying, “Oh, this book is just an easy version of the test.” I’m saying it is an easier version of the real thing and it is a valid version. Unlike Kaplan’s books, for instance, which—at least for verbal—are much easier than the real test in an inaccurate way, the Princeton Review mostly stays true to the underlying subtleties of the questions and answer choices. It just doesn’t have the hard-level questions that make up 15-20% of the actual test. Of course, you’ll have to pick up another book to help you with strategies and to review the fundamentals. Indeed, you’ll need a book that also has practice tests, since this book is made up of just one drill after another. But as a companion guide to a book of strategies and fundamentals, this book is a great place to start. A great place to start drilling, especially if you are new to the test. But for those wanting to prepare for the rigors of the actual test with practice tests and more difficult questions, you’ll need another book. Before we get into anything else, a quick clarification: The practice tests in this book are not the same ones that appear in the Princeton Review’s Cracking the SAT (reviewed above). All commentary here applies to the 6 Practice Tests book alone. The verbal sections here are pretty strong, and there are also great medium- and low-level math items. The science passages in the reading section are outstanding, and so is the Princeton Review’s use of graphic stimuli in these sections. These types of problems are going to be a new kind of challenge for many students on test day, and here we have difficult, test-like problems! Woohoo! Answer explanations are also pretty good. The explanations of wrong answers are brief or even missing, but the clear explanations of why the right choice is right make this a relatively small issue. The math here verges on the easy side, but not so much so that it’s unfaithful to the test. It’s just missing those tough problems that you’ll need to answer correctly for a 700+ sectional score. If you’re looking to get your score up in the top percentiles, you’ll want to supplement the tests with practice problems from books like the College Board’s Official Guide. A good book for most students. If you’re hoping to score in the stratosphere (90th percentile or above), you might begin here, depending on where you are now, and move on to more challenging materials as you master these problems. …Sorry, I just fell asleep there for a moment. Those lists are not helpful at all. On the other hand, the math is great! The strategies are solid and helpful, the concepts are broken down well, and it hits that Goldilocks sweet spot of around 200 pages—enough to help you enormously without being overwhelming. Answer explanations are great on the practice sets, but less so on the practice tests (“A is the right answer because xyz. B is not the right answer because it is not xyz”). Finally, there’s a flashcard app! This is exciting. On the other hand, is your time going to be best spent studying the 3,000 words the book claims are on that app? Definitely not. Math practice, here you come! Lists of definitions and verb conjugations, there you go! This is like reviewing the Bible. The Official SAT Study Guide, by the writers of the test (The College Board), is so foundational to SAT success that it seems sacrosanct to suggest otherwise. But I’m going to say something that might seem heretical: this book is flawed. Sure, the questions in this book might be indispensable, but is the book uniformly useful? No. And here’s why. The questions in this book are Mt. Sinai level. The SAT gods part the skies and give us a taste of what to expect when the test debuts in a couple of months. All the nuances, all the traps, all the idiosyncrasies are there for us to behold, and the more you understand them, the better prepared you’ll be come test day. The practice questions in this book are available for free online, and, since the questions are by far the best thing about this book, you might rightly start to wonder whether you need to actually purchase this book. What follows might indeed make you think you don’t need the book at all. Hi, I’m going to play pretend today. I’m going to pretend I’m the person or people who wrote the explanations for the questions. Choice (A) is the best answer because the information in the passage best supports (A). Lines 11-13, <insert quote here> show this. (B), (C), and (D) do not specifically answer the question. To be fair, the explanation of the right answer is often more thorough. As for why the wrong answer is wrong, forget about it. That is about as specific as it gets. In the end, you are likely to find these explanations laconic to the point of infuriation. This is problematic, since understanding your mistakes is one of the best ways to improve. As a result, I’ve put together video explanations to the Official SAT Study Guide questions. You can check them out for free in our Magoosh SAT YouTube channel. What we don’t get is a solid explanation of grammar concepts and how they relate to the test. Nor do we get strategies on how to approach these questions. In fact, I feel like the first few hundred pages are more for people like me—people who want to understand how the test is constructed—and less for students, who need help understanding how to solve the actual questions. This book feels like what would happen if the folks over at Kaplan read our past reviews of their books and went, “Oh, maybe we should change that. But…we don’t really feel like it today.” At first glance, you might think that it’s a different book, but a lot of this information is just more of the same. The practice test is different. It’s not great, but it’s not terrible. The verbal is too easy, for one thing. The Kaplan website was super complicated. This may have been a problem on my end, but it’s worth noting that you have to give them a TON of info in order to get to those tests, even when it does work. That way they can put you on all those sweet, sweet marketing lists. Are the online tests any good? Who knows? The registration process was just too complicated (and annoying) to get that far. Everything about last year’s book—both good and bad—is still true of this year’s edition. If you’re going to buy a Kaplan book, it might as well be the 2018 edition, as there is a tiny bit of new info here. But, honestly, the verbal still isn’t good, the math hasn’t changed, and you may find that you don’t end up getting all the practice tests you paid for. It’s an unfortunate truth that taking high-quality practice tests is vital to boosting your score on the SAT, but that finding good materials can be a challenge. Eight practice tests is a tempting offer—after all, the Princeton Review’s most recent books offer only six! But eight mediocre tests…? That’s a different story. One of the gravest sins here is that the book doesn’t explain wrong answers at all. It shows you the thought process of arriving at the right answer, but this won’t be enough for a lot of students (it wouldn’t be enough for me!). The math sections here are far more reflective of the actual test than the verbal sections are. More question stems are longer, and there are more word problems than you may see on test day, but that’s still good practice. After all, word problems just make you figure out how to set up the equations for yourself, and that’s not a bad thing. Kaplan hasn’t mastered how the College Board now uses graphic stimuli in verbal sections. Their charts and graphs are far less complicated than the real test. This is particularly true where science passages are concerned in Reading Comp. The verbal questions go back and forth. Either they’re all on the easy end of the spectrum (no matter how Kaplan has classified them), or they’re impossible to the point of being unfair, particularly when it comes to synonyms. The Reading section also suffers from Kaplan’s treatment of paired passages. The questions on these passages are both weak and scarce, particularly those asking students to consider one passage in light of the other. This is a common problem in SAT prep books, but it’s still a problem: Kaplan’s guide has chosen nearly all its literature passages from pre-1900 sources. This is not reflective of the actual test! It makes sense from Kaplan’s perspective—pre-1900 passages are open source and thus can be reprinted for free—but it’s really not fair to test-takers, who will see a lot more modern material on the exam. The new Reading passages about science on the SAT are going to challenge students in a variety of ways: terminology, concepts, use of data. Kaplan’s science passages are better suited to the old SAT than to the current one. This section does have one minor but helpful aspect. In Reading Comp., the answer key provides sample “Passage Maps” to show students the kinds of notes they should be taking to answer questions well. The math’s okay, if on the easy side; the verbal’s atrocious. Usually a name to trust in the SAT test prep book world, Barron’s has created a book of six tests that don’t accurately mirror the real test, and will likely cause more frustration than enlightenment. The math content is good practice for high-scoring students, though the ordering of difficulty is so far off that I’d only recommend students pick and choose questions, rather than go through an entire section. This, of course, defeats the purpose of a practice test. The content doesn’t match up well with the actual test. The ordering of difficulty—how questions in the math section are ordered—is all over the place. Math problems at the beginning of a section that are harder than anything on the actual test are only going to hurt students’ pacing. 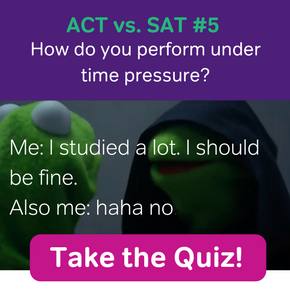 After all, the SAT is a performance test. You want material that accurately measures the section you’ll see test day. True, Barron’s matches some of the content and the general form of the test, but since the test skews difficult, most students are going to feel frustrated. The editors seem a little tone deaf in their selections. This is surprising, since the College Board has been very clear about the types of passages it is using. The reading passages are more stylistic and less informative than the typical SAT passage, and not reflective of the subject matter or graph usage you’ll see on the exam. It wouldn’t hurt to practice with the passages in this book. But with so much out there in the SAT prep book world, why waste your time with passages that aren’t reflective of the type of writing you’ll see on test day? The mixture of passages is also not reflective of the actual test, making this seem either way easier or way harder than the test itself, depending on which passage types you’re best at. Since this book is supposed to serve as a series of practice tests, it fails miserably. Students who work through this book might—as often happens with subpar material—hurt their score, since the logic of some of the questions is so contrived that students could end up applying screwy logic to real questions. Never a good idea! Awkward writing, questions that are not test-like with debatable answers, bare-bones explanations…while Barron’s sometimes puts out great products, this is not one of them. There are so many better books of practice questions and tests out there—why waste your time and money? In my job as a book reviewer, I’ve never considered myself to be doing an ethical service. After all, I’m just advising which book to use and which one not to use. Apparently, this logic was turned on its head today as I read through Mometrix’s SAT Exam Secrets Study Guide. Usually I don’t like to pick on the little guys, but this book had so many positive reviews on Amazon (around 100 reviews and 4.5 stars) that I had to review it. So why is Mometrix so awful? 1. Annoying, ingratiating tone (think of the car salesman who puts his arm around your shoulder and calls you buddy). 3. Nothing about the Reading Comprehension section questions is valid. The questions ask, “What is something that the passage talks about in line 3?” And then they give you four answers (at least they got that right) followed by an answer that is lifted word for word from the passage. How hard is it to realize that there are evidence-based reasoning questions and that they look a certain way? Or vocabulary-in-context questions? A fourth grader could at least mold the question—and arguably write a better question than what’s in here. 5. In discussing grammar, it behooves a prep book not to have glaring grammatical errors on nearly every page (sometimes every paragraph) of the book. 6. There is nothing wrong with organizing information in readily consumable chunks. Mometrix feels that it is okay to dump information into poorly organized and poorly formatted paragraphs (I’d rather read the New York City phone book). 7. Mometrix, did you realize that the SAT contains a 44-question grammar section? You might want to include it in your next edition. Actually, do those hapless high school students whom you bamboozle with this travesty of a book by never releasing anything into the world again. Amazon, say it ain’t so. This book uses old SAT question types and has questions that are in no way like the actual exam. There is not one positive thing about this book. Avoid at all costs. There you have it, the best SAT books to use in your prep (and the worst). For more information on how to put the best SAT books of 2017 and 2018 to use in a complete study plan, check out our study schedules for the SAT! Nice article on what books to go for while preparing for the SAT. One of my admissions counsellor asked me to buy Erica Meltzer’s books for the NEW SAT. He highly recommended it. Could you please review the books from her too?